Where to Buy Hydrated Lime Powder, Hydrated Lime Powder - 50 Lb - $49.95 for Sale with Fast Free Shipping! Hydrated Lime Powder - 50 Lb is a fast acting concentrated acid neutralizer by correcting soil pH for masonry, environmental, industrial, and agricultural uses and odor control for animal dwellings. Hydrated lime works faster than limestone or dolomitic lime to raise pH levels. Lawn & Garden Use : Follow of soil test results. In the absence of soil test results, apply 50 lbs per 1,000 square feet. 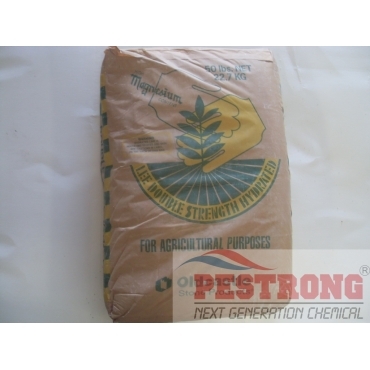 Typycally a pH of 6.5 will provide optimal growing conditions for most garden. Ideal for sanitizing around outhouses, barns, and stables. Can be used to make white wash.
We, Pestrong.com may ship any brand of Hydrated Lime Powder (dust) depends on current availability. Good neutralizer, the odor suppression works too. good acid neutralizer or akaline enhancer. change in ph works fast.